Bob McDonald, the new VA secretary, spoke on Capitol Hill this week. Doctors who passed on a career at the Department of Veterans Affairs because of pay will soon have a reason to give the agency a second look. The maximum pay for new physicians and dentists will be bumped by between $20,000 and $35,000, the scandal-plagued agency announced this week. That's a significant boost for new hires, who may look at the rigid government pay scales and see less room for growth than in private practice. Many doctors, like primary care physicians, hired into the VA will still start at $98,967 per year. But their new ceiling will be $215,000, instead of $195,000. Many anesthesiology positions, among the higher-paid of the 40-plus specialties on the VA payroll, are currently capped at $295,000, but will be eligible for up to $325,000. 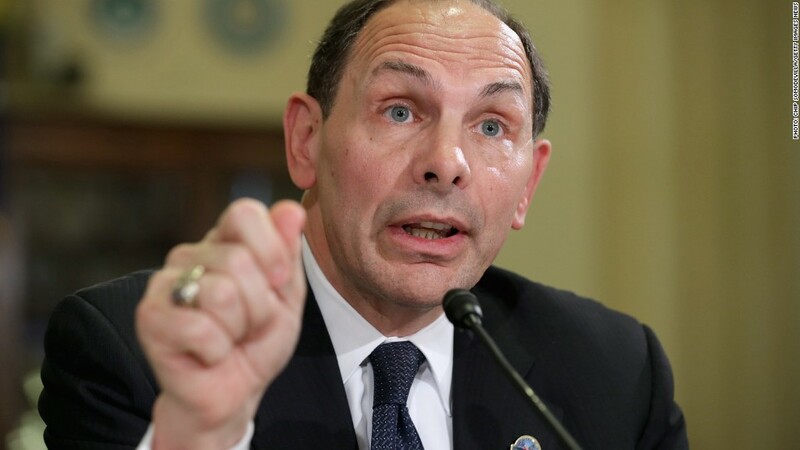 The changes do not apply to the department's current doctors and dentists, nor to other VA health care professionals, like nurses and nurse practitioners. It's one of the first signs of the new Veterans Affairs secretary's $5 billion effort to recruit new talent and improve infrastructure. After only about a month on the job, Bob McDonald said last week the department needs "tens of thousands of new doctors, new nurses, new clinicians." McDonald, the former CEO of Procter & Gamble (PG), has visited medical schools and argued publicly that the VA is a good place to work. Freezes on VA salary increases and bonuses have kept pay from growing. Many hospitals don't have the latest equipment and are located in less-desirable cities and towns. And the department's reputation was hurt this year from the revelation of secret waiting lists and excessively long wait times. The agency based the increases on several salary surveys, which generally showed VA doctors earning less than professors and those in private practice. The average VA primary care physician earns just shy of $178,000 annually, while the surveys found average salaries ranging between $194,000 and $256,000. The new rates must go through a 60-day public comment period and will take effect on November 30, said VA spokeswoman Linda West.